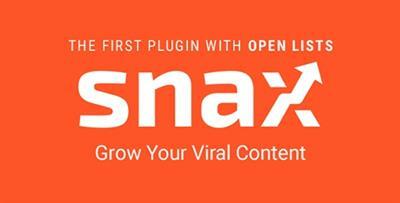 Say hello to Snax - the first front-end uploader with Open Lists. Boost your site traffic by letting users create and share viral content for you. It's so easy even your grandma can do it!